We are frequently asked “do you have any Cubans?” Let me start by saying the sale of Cuban cigars is still illegal in the United States. 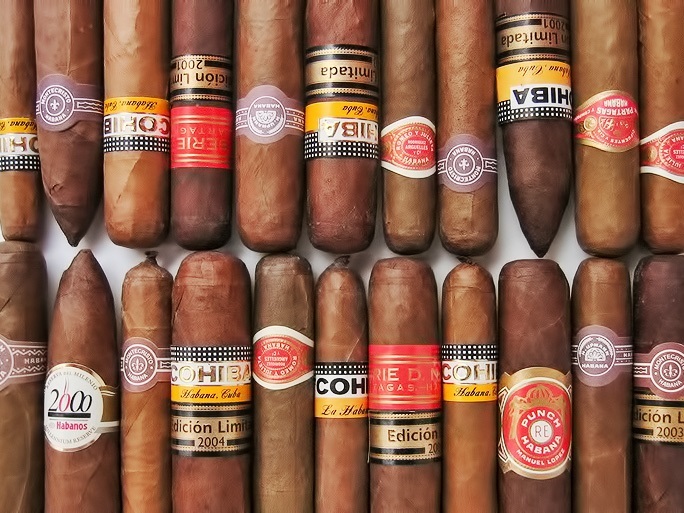 If you are traveling abroad, you may purchase $100 worth of Cuban cigars for your personal consumption (between 4 and 7 cigars depending on where you buy them). If you are purchasing Cuban cigars abroad for less than $12 a stick while traveling abroad, they are most likely fake. I am not saying all of these brand trademarks are under dispute, but I am sure several are, since they are trademarks registered in the United States as well. Therefore, even if the boarders were opened tomorrow, you would most likely not see any of those brand pouring into the US. What most people don’t realize is that Cuba is buying tobacco from other countries like Nicaragua and Dominican Republic to have enough tobacco to keep up with production. Once the embargo is lifted, they will be buying even more tobacco from other parts of the world to increase production for the new demand. Only six Cuban cigars have been in Cigar Aficionado’s top 25 cigars for the last six years. That’s six cigars out of 125 cigars! Other countries have far surpassed Cuba for quality and flavor of cigars. They do this by blending tobacco from all over the world to make the rich, smooth smokes that we all enjoy. The good news is: I am excited about other countries having access to Cuban tobacco to incorporate into their blends. Whether it be filler, binder or wrapper, it will be a new flavor profile for cigar manufactures to incorporate into their new cigars. Now THAT IS EXCITING!